Looking for the perfect way to show your love for the Stars & Stripes? Look no further than this American Flag Watercolor Monogram Tank Top-Shirt! Looking for the perfect way to show your love for the Stars & Stripes? 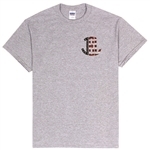 Look no further than this Embroidered American Flag Monogram T-Shirt! Looking for the perfect way to show your love for the Stars & Stripes? 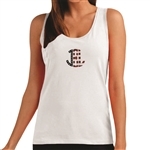 Look no further than this Embroidered American Flag Monogram Tank Top! Looking for the perfect way to show your love for the Stars & Stripes? 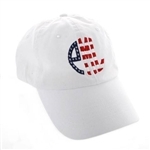 Look no further than this Embroidered American Flag Monogram Cap!